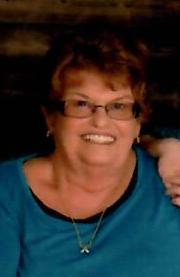 Pamela L. Wright, 70, of Gaston, passed away on Friday October 5, 2018 at IU Health University Hospital in Indianapolis following a long battle with Rheumatoid Arthritis and short battle with cancer. Pam was born July 2, 1948 in Muncie, Indiana to the late Fred and Lois (Judd) Miller. She was a 1966 graduate of Gaston High School and went on to earn her Master’s Degree of Science in Nursing from Ball State University. Pam worked for Ball Memorial Hospital from 84-98 as an RN and then worked for Medical Consultants , later renamed IU Health Rheumatology, as a Nurse Practitioner from 99 until her death. Pam received many accolades in her involvement in Fibromyalgia and RA and was a Certified RA Instructor. She was a past Gaston Town Council member. She was a member of the American Academy of Nurse Practitioners, American College of Nurse Practitioners, CAPNI, APNEI, American College of Rheumatology for Health Care Professionals, American Arthritis Foundation, American Association of Critical Care Nurses, and Sigma Theta Tau Sorority. Pam enjoyed golfing, bowling, softball, and traveling. Pam is survived by two daughters, Krista Vance (husband Jay) of Gaston and Shelly Wright of Gaston; three grandchildren, Justin Vance (wife Lauren) of Wentzville, MO, Allison Whitehead of Gaston, and Sarah Roush (husband Luke) of Roll; three great-grandchildren, Levi Vance, Elsie Vance, Milo Whitehead, and another on the way, Ridge Roush; two siblings, Vicki Murphy (husband Chuck) of Gaston and Gary Miller (wife Pam) of Poseyville; two step-brothers, Pat Fraizer (wife Mary) and Mike Fraizer (wife Carolyn) all of Ft. Wayne; special friends, Gordon Hughes and Becky Louck; and several nieces, nephews, and cousins. Pam was preceded in death by her loving husband of 33 years, James Wright; her parents, Fred Miller and Lois Miller-Fraizer; son Mark; Brother, Jerry Miller; and a step-sister, Georgiana Burkett. A funeral service to celebrate Pam’s life will be held at 11:00 A.M. Friday, October 12, 2018 at Gant Funeral Homes, Gaston Chapel, at 109 W. Elm St., Gaston, IN 47342. Pastor Michael Osborne will officiate. Burial will follow at Thompson Cemetery. Friends and family may gather to share and remember form 4:00 P.M. until 8:00 P.M. Thursday, October 11, 2018 and also one hour prior to her service on Friday at Gant Funeral Homes, Gaston Chapel. The Gant and Miller families are honored to celebrate Pam’s life with her family and community.